A couple of weeks ago I showed you some photos of the Isle of Dead at Port Arthur. I have been meaning to show you more images from my day there, but I took so many it has been hard to choose which ones to show. I have done a selection and will show them in few lots here, and in separate galleries. Port Arthur was a convict penitentiary in Tasmania. Most of the convicts that were sent there were re-offenders, meaning that once that got here they committed another crime. It opened in 1830, taking over from other places around Tasmania and ceased operating in 1877. Australia did start as a penal colony and it is great to see places like this that remind us of part of our history. There is no doubt that the big penitentiary building is the most impressive and most recognisable building there. When you go it is basically the first building you see. It sits near the water and even in its ruined state is an impressive building. I photographed a little plaque that has the history of the building and you can read that. At Port Arthur you will find a building called the separate prison. This building was made up of solitary confinement cells. It was thought that the best way to treat prisoners was not by flogging and hard labour, but to look them away in cells where they had no communication with anyone else. They were not allowed to talk unless a guard asked them a question. The whole place was a quiet zone, and even the guards used sign language between them. We now know that putting people into solitary confinement sends them mad, but back then the connection wasn’t made. We have learned a lot from places like this, however, at the time they didn’t know so a separate asylum was built for those that went mad, (the last two images in the gallery). The gardens are really beautiful around the site. With it being winter there were a lot of trees that had lost their leaves. Still it was very green and perhaps the sunniest day we had while there. As we stayed for the ghost tour we were there also for the sunset. I have shown you some other photos of it, but here a few more as well. As much as we like to think of this place as a place for convicts, sadly it is also the place for Australia’s worse gun shooting and massacre. In 1996 Martin Bryant went a shooting rampage and killed 35 people and wounded 23 others. There is a separate memorial there for it. The cafe where he started has been stripped and only the shell of it remains today. One positive outcome from this was a rethink on our gun laws. An amnesty was set up where people could turn in guns, get paid for them, with no repercussions and they did. Thousands and thousands of guns were turned in at police stations and other sites. We now have very strict gun laws, and to tell the truth most of us are very happy about that. We certainly feel a lot safer. I’ve never seen a gun except those that police carry and even they are starting to look for alternatives. Before Port Arthur we had, on average, one mass shooting a year, since, we haven’t had one. By the time we had finished the tours we went on we realised that we didn’t have enough time to see all that was there. If you are going to do the tours then you should plan to be there for two days. So after a cup of tea we decided to see what we could before the sun went down and the start of our ghost tour. We went to the ruins of Government Cottage and the convict Church. Both destroyed in bushfires in the 1890’s so that all that remained where the walls. We don’t see a lot of building in Australia like this, and the Church was incredible. Without a doubt an incredible place and one I can’t wait to go back and finish exploring. Next time, no tours, just spend the day taking photos. See as much as I can. If you are planning a trip there, I suggest doing it over two days, and maybe spread the tours over the two. I didn’t take photos on the ghost tour, I put the camera away and decided to just join in the fun and experience. It was very dark when we did it, so the photos wouldn’t have been great anyway. If you would like more information at Port Arthur I suggest you visit their website. It is a beautiful site with such a sad but interesting history! I agree Cybele, it is so amazing and beautiful, sad, scary, all rolled into one. Thanks. Really interesting, Leanne. I’ll be in Port Arthur (just a day) next February, so I found your photos and text particularly relevant. I like that the cafe is now only a shell, that’s an effective memorial for those poor victims. It is a great place, but get there when it opens and decide which tours you will do, we did the introduction, the isle of the dead, point Puer and the ghost tour. It was too many in one day. All were great, but much of the introduction is repeated in other tours, but I would highly recommend the ghost tour, it was fantastic. It is nice that they have done that, there are other memorials behind it as well. Thanks. I wish we had gun laws in the U.S. like yours. I lived in Adelaide in the late 1960s, and if my memory is correct, back then even the police in Australia didn’t carry guns. No, our police carry guns, but I think they rarely use them, hardly ever. Now they are into taser guns more and find them better, I believe. Thank you. My Australian biker blogger friend just posted about Tasmania as well, and also mentioned the Port Arthur and the shooting. Too bad, the US (my home) can’t learn the same lesson. Thank you Laurie, it is sad, maybe one day you will have your amnesty there as well. Such an amazing place Leanne! Your photographs really give one the feel of what is there now. The massacre that occured there – I respect how it was handled – people being able to turn in their guns (weapons) with no questions asked. I am an American expat – for myself gun control needs to be strong and stronger in the US. You are correct in your repsonse regarding gun deaths in the US – something needs to be done and as the constitution of the US was written “the right to bear arms” – it is today taken out of context. Too many die needlessly in the US due to easy gun access and poor gun control. Thank you Debby. It was handled well. The memorial is in a corner, still part of the place, but separate too. Unfortunately the people who want the guns won’t give them up. So silly really. It works in some many other countries, people feel safer when the guns aren’t around. Paranoia and fear are what drive the people who want them, I believe. Yes, I’ve heard the same, that it has been taken out of context. It happens so often there that it isn’t news anymore, that is the sad part. What a fabulous article. I’m going to put a link onto my controversial post I did about the shooting in Orlando. Gun control is a big issue here, and especially here in the Central Valley where I live. I understand needing guns for some things, like shooting rattlesnakes, but I’ve gotten by with Vince only needing it once in 15 years for that. Thank you Marsha, Orlando was horrible, guns should be impossible to get if you ask me. We have lots of poisonous snakes here, and we aren’t allowed guns for them, though here they are protected, if you can believe it. That’s pretty scary! Like the situation in Florida where a little bit was eaten by an alligator. There is never s perfect solution! No, but I know guns never are, violence is such a horrible thing. I’ve been meaning to send you an email to see if you were still coming. So it is still going to happen? Yep, I got my ticket. It’s just me. I’ll stay with Carol, then we will travel from there. Brilliant, you know Melbourne is a long way from Carol. Will have to send you an email. Oh good, just checking, I was talking to someone recently they didn’t seem to have any idea, so thought I should make sure. Your photos are all superb and really convey a sense of a melancholy atmosphere. Old buildings are a great, tangible way to connect to the past and reflect on history. I’m SO with you on gun laws. Having lived most of my life in Britain, I hate the attitude to guns here innAmerica, the culture, the laws, the political impotence. So many devastating tragedies and yet nothing changes because too much money and power flows from the coffers of the gun lobby. It’s awful. I agree Laura, I love them too, and I like the way they tell a story. It is so awful, I was just saying how we don’t hear that much about them anymore as it seems they are too common place now, to every day, the school shootings especially. You should be able to send your kids to school with the fear that some idiot with a gun might show up. I love our gun laws. Thanks Laura. The first week my kids were in their American school, they ran a lockdown drill. My kids, used to fire drills, had zero clue what this was all about. It’s deeply sad that it’s somehow considered more palatable to teach our kids to hide in cupboards and under tables than it is to remove guns from people’s possession. I can’t even comprehend what that does to you or your child, knowing that everyday they are going into a war zone, I suppose, I don’t know. Scary stuff. YOu are braver than me. Thankfully the drills here at least are only once a year and they form part of a run of drills to do with fire and extreme weather and such like so the kids aren’t freaked out by it. Mine just found it peculiar because it was a new experience and concept for them. It’s pretty dire though. Yes, thankfully, I suppose they have to make sure the kids are prepared, but at the same time not scare them too much. Maybe they should start having doors that are bulletproof that automatically lock if it happens. I don’t know. I just hope Laura that your children never ever have to use that drill for real. Beautiful and thought provoking photos Leanne. Outstanding, I feel like I’ve been there. Sad about solitary, they still do that here. I love the photos. That’s great to hear Nicci, thank you. It is sad, though I think they are very strict about it now. They had people at Port Arthur there for a year or more, I believe. Beautiful and moving story and pictures, thank you! Terrific post and wonderful images of Port Arthur. I enjoyed our visit there very much. Australia is a great example of putting a stop to gun violence. I respect your country very much for this – and many other things. I can only wish for gun reform here – nothing ever gets done. Thank you Jane. It is rather a special place in our history. We did, there was no argument about it, it just happened, we all want to live with the fear of guns killing people. I hope it happens too, guns in the hands of people who are not sane is just madness. Strict control is what is needed, well we have that here. Lovely photos Leanne. I agree with you, one day isn’t enough to see everything in this area and it’s nice to be there as the sun sets and the buildings take on a different appearance. I agree, I loved watching the sun setting there, would do it again then no question. Thank you Carol. 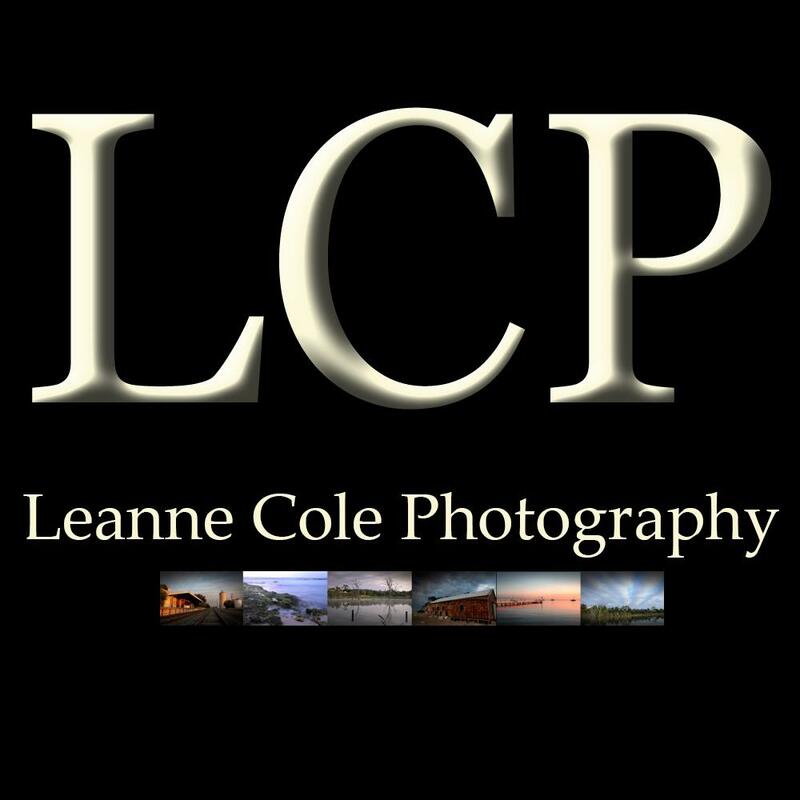 Great photos, Leanne. I particularly like the one that shows a building with turrets, but all are lovely. Couldn’t agree more about our gun laws – they are also the same in Canada. In both countries death by gunfire is a rare event – wonder why our American friends can’t (or won’t) see the correlation. Thank you Don, have you been there? I know, it is strange how the connection isn’t made. I feel so safe here really and I know that it is because they don’t let people have guns. Sure some get them, illegally, but it is such a small number. It is the politicians that scare me more. Have you heard about the election. Interesting times ahead. Leanne! This is a fabulous set of images. I really enjoyed every one of them! Thank you so much Robyn, glad you like them, of course the place is so good to photograph and the history really sucked me in. Excellent photos Leanne. Interesting your gun laws. In Nevada, we have an Open Carry law. People can carry pistols and revolvers in plain sight in public. It doesn’t bother me at all, having owned guns and knowing how to use them. This only bothers what we call the Gun Grabbers. Thank you John. Yes ours are very strict and to be honest we wouldn’t have it any other way. The idea that any one can carry a gun would scare the hell out of me. Pistols and revolvers are a definitely against the law thankfully. I couldn’t live somewhere like that. You just never know and they kill people all too easily. I like the idea that I can walk out of the house and know that I won’t get shot for sure. there are situations where citizens with concealed carry permits like I have, have made a crucial difference and saved lives. Take your pick, guns are a major issue in any country aren’t they! I am very much pro gun, having grown up with them in my family. Seeing a deer killed for food doesn’t bother me at all. Seeing said deer gutted in front of me is OK. The meat is always donated to needy folks in my Michigan counties back home. Here, it’s a very different thing. I once could literally walk out my front door, whip out the pistol and fire away, nobody bothered calling the police. In that county, gunshots are the normal thing. This is something we will always disagree on John, I’ve never seen or heard of a situation where someone carrying a concealed weapon could have saved a life, if people aren’t allowed to carry guns, then you never have to worry about it. Maybe every country in the world does have problems, but when you look at the number of gun deaths in most countries it is fairly small, then you look at the US and in very very large, there is a correlation. We are anti gun, and we like that. I suspect you are not aware of the news stories in the States that occasionally report how concealed carry owners have stopped the bad guys. There are multiple steps that must be taken to obtain a concealed carry license. in my previous county, one must actually set in front of the Gun Board which in my case included the actual county sheriff. It’s not easy to get a valid license in that county. Any blemish on your record will disqualify you. I suspect it’s easier here in Las Vegas to obtain a gun. Legally. I currently own zero guns, sold them all before leaving Michigan as state-to-state concealed carry agreements are not always as you read on the web from state to state. I don’t know about them, you are right, but it is not something you have to worry about there, which is what I meant. Criminals here don’t tend to have guns, of course some do, but on the whole they don’t. If someone breaks into your house to rob it is very unlikey that they will have a gun. I like that. I feel safer knowing that people don’t have them. so the laws for carrying a concealed weapon are stricter, but what about other laws. Do people have to have psychological assessment to judge whether they are okay to have one? Do police and other people come and make sure you are looking after them correctly so, say, children can’t get a hold of them. We have heard of so many deaths from your country because guns are in the wrong hands, that’s the very sad part. In fact the massacres there happen on such a regular basis that the news here doesn’t even bother reporting them anymore. That is sad, when it becomes every day that it doesn’t even make headlines, then it is so sad for the people who die at the hands of idiots with guns. If no one can have guns, then the massacres don’t happen.